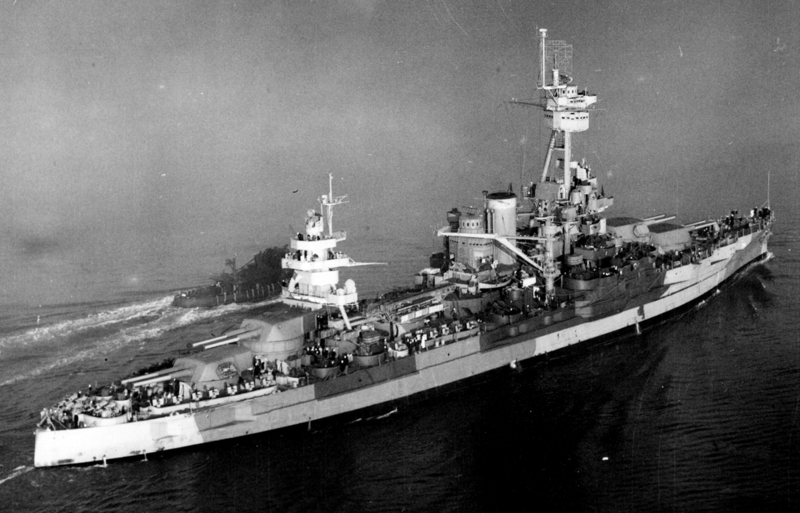 A photo of the battleship USS New York (BB-34) at Norfolk on November 4, 1944, wearing Measure 31a Design 8B. New York is camouflaged for transfer to the Pacific. USS New York (BB-34) again at Norfolk on November 4, 1944, wearing Measure 31a Design 8B taken by Naval Air Station Norfolk. The colors should be navy blue, ocean gray and haze gray. An enlargement from an aerial photo of Terminal Island, San Pedro, California. The ship with port side along the pier is the battleship USS New York (BB-34) and USS Arkansas (BB-33) is closer with her starboard along the pier. The date is December 24, 1944, and New York is still in camouflage 31a/8B while Arkansas in now in Measure 21. This photo was taken by Naval Air Station San Pedro. Photo source: NARA 80-G-294640. 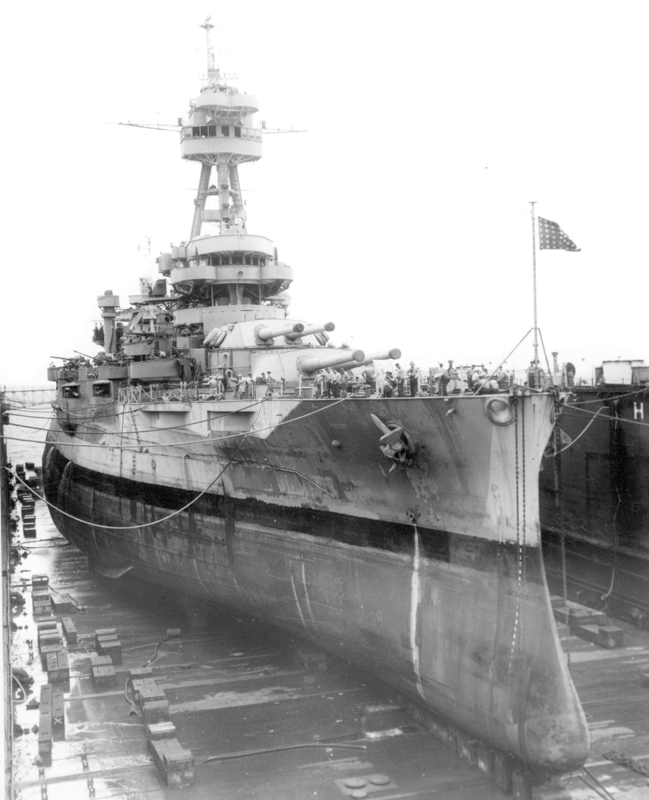 The battleship USS New York (BB-34) in Dry-Dock ABSD-2 at Manus, Admiralty Islands on March 19, 1945, still wearing a somewhat faded 31a/8B. Photo source: NARA 80-G-330637.